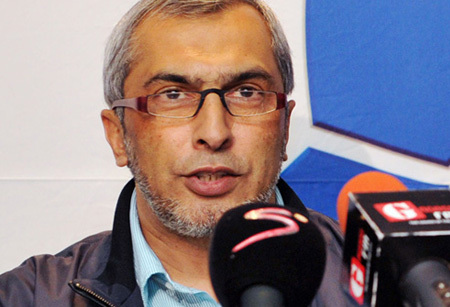 In a wide-ranging interview, Maritzburg United chairman Farook Kadodia talks about a number of important issues at the club. 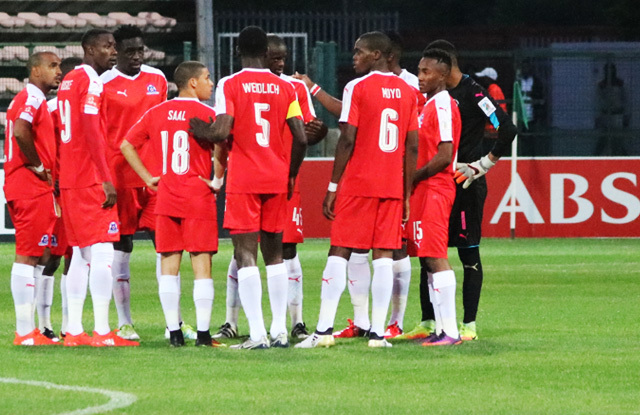 As the AFCON gets underway in the middle of January, PSL teams will be busy preparing themselves for the second half of the season. Considering how closely positioned teams are at the top, middle and bottom, football lovers can brace themselves for very competitive and entertaining finale to the current season. 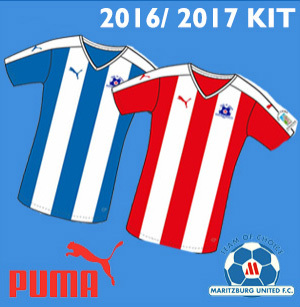 Maritzburg United Marketing and Communications Manager Brian Zuma had a chat with the Chairman Farook Kadodia about the remainder of the season. "We have assembled a good team and set our aspirations on a high level. That level was not to do better than last year, but to achieve. That means ending the season high in the top eight and playing in a cup final. That is the vision and aspirations of the club because that would be the ideal thanks to our supporters that stood behind us last season." When asked if this was achievable he remarked: “It is achievable. 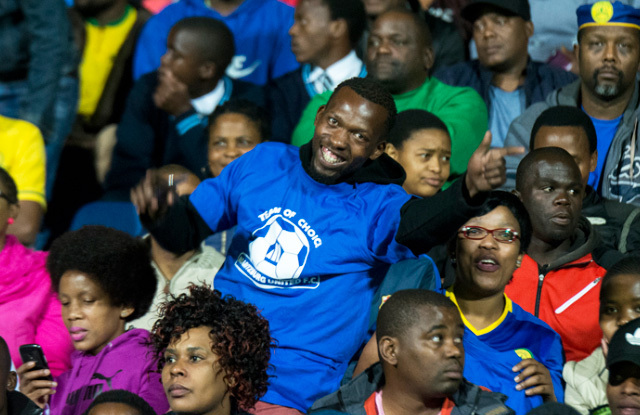 We do not want to be seen as a team that is content with surviving relegation each season. It’s all about the mental approach of players. A few years ago when coach Ian Palmer resigned in January, we were in the same situation in terms of points as now. "We started the second round a bit relaxed and at the end of the day we were fighting to survive relegation. We cannot allow that to happen again. The hunger that the players have demonstrated must continue. The league is bunched up tightly at this stage. If you win two games you can break away from the bunch, if you lose two you will fall behind the bunch." The Chairman’s response on whether he is re-building the team was: “The future lies in development. This season you saw young players coming through our streams, especially local players and we want to continue with that. That is why we are earmarking a coach with a philosophy that will promote young players from the junior ranks. That is why when we prepared short-list of coaches, we limited ourselves to coaches that we believe will subscribe to the development philosophy that I have alluded to, so that we have experienced players blending with youth." With regards to the appointment of a new coach and if any of the players are leaving or coming during the January open window, he said: "We will finalise the appointment of the new coach this weekend and an announcement will be made early next week. Regarding player movement, we will wait for the arrival of the new coach because his input will very critical, but we are not under pressure though. "Speaking about players, our experience from last season was that as we were fighting relegation, some of our players were already approached, which unfortunately does not auger well for professional standards of behaviour. Clubs must follow the right kind of approach. Already we hear a lot from the media that certain players are enticed by these clubs, yet so far we have not had any approaches from them." When asked about the latest on Philani Zulu, he said: “We’ve had only one official approach so far and that is from Polokwane City. But I believe that there are clubs in Gauteng that are known to sign players on a free policy, it is rumoured that they are looking at signing Philani, but we have heard nothing from any of them. On the growth of the MUFC brand, the Chairman said: “It’s time now that the club gets recognised more seriously by all spheres of community whether it’s business or politicians, that we have sustained ourselves in professional football for quite long in Maritzburg, it’s time now that we achieve and garner more support to build this brand even stronger, both from the development side and the senior team." In conclusion: “Finally I once again thank our supporters for rallying behind the club. They are the best in the PSL. We need them even more now for us to achieve what we have set as goals for ourselves this season."